The Piano Duet was particularly popular during the 19th century when so much music was written or arranged for the ensemble by well-known composers. Schubert especially wrote very prolifically for the ensemble; Brahms, in addition to his original duets, arranged most of his other works for 4 hands to make them more accessible to a wider audience and even Tchaikovsky’s Pathétique Symphony was published in his own arrangement for 4 hands. Dvorak’s Slavonic Dances, however, are original duets which were later arranged for orchestra. This aspect is one of our special interests in widening the repertoire, bringing the music from archive, as well as performing new duets. Composers are still writing duets today and some have written them for us. Our passion is to bring awareness of these gems and treasures from across the centuries to as wide an audience as possible. Would you like to be involved? 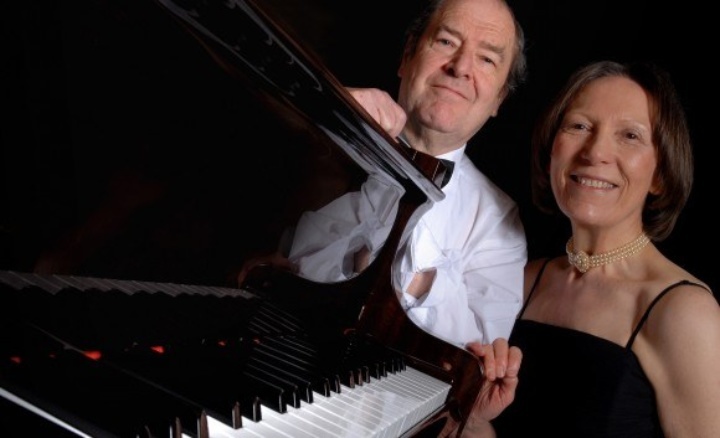 Come to one of our events and be introduced to the wonderful piano duet repertoire, way beyond and more varied than that found in most piano duet books you might have at home or in recitals you might have heard. There are piano duets for all abilities and styles - syncopated, in an evocative mood, clear classical lines or more experimental. Either way, we would love to hear from you and expand even further our nationwide network of piano duettists. Perhaps there is a piano club, or group of people who meet up from time to time, in your area who might be interested? Visit our website: www.piano-duet.co.uk to see our varied activities in the field, or write to us at [email protected] telling us about your interest in piano duets. Or, better still; join us on one of our piano duet days, weekends, and courses throughout the year to find out more!